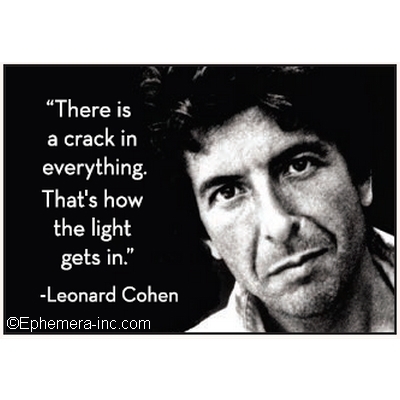 "There is a crack in everything. That's how the light gets in." Leonard Cohen.